Last month we focused on quality improvements for Excel Power Map, shipping more fixes than in any previous monthly release. This month we’re continuing to make fixes but we’ve also added a nice convenience feature. You can now play a tour directly from any scene, instead of always having to start playing a tour from the beginning. This is super helpful when you’re editing a tour and want to see how the changes you’ve made to a scene will appear. No more starting from the beginning and fast forwarding through to the scene you just changed. To use this feature, simply hover over a scene in the Tour Editor and click the Play button that appears. More updates coming next month. Enjoy! 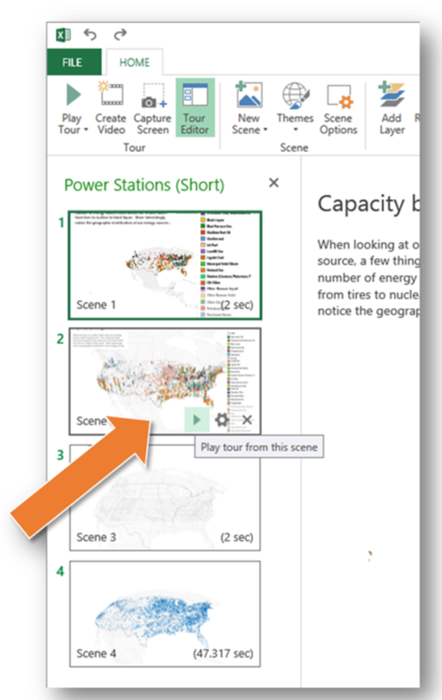 Power Map is part of several analytics and visualization tools in Excel that is available and updated monthly with an Office 365 subscription. 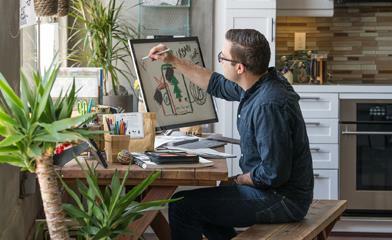 More is available with these tools, like searching corporate data, hosting real-time dashboards and sharing business insights with colleagues, when signing up for Power BI for Office 365.